Make your potential client the center of attention with this 20×20 trade show booth. The center of this booth features a circular enclosure that houses a small table where meetings can be held. Around the center lies four counters where booth employees can bring in potential clients and greet them. 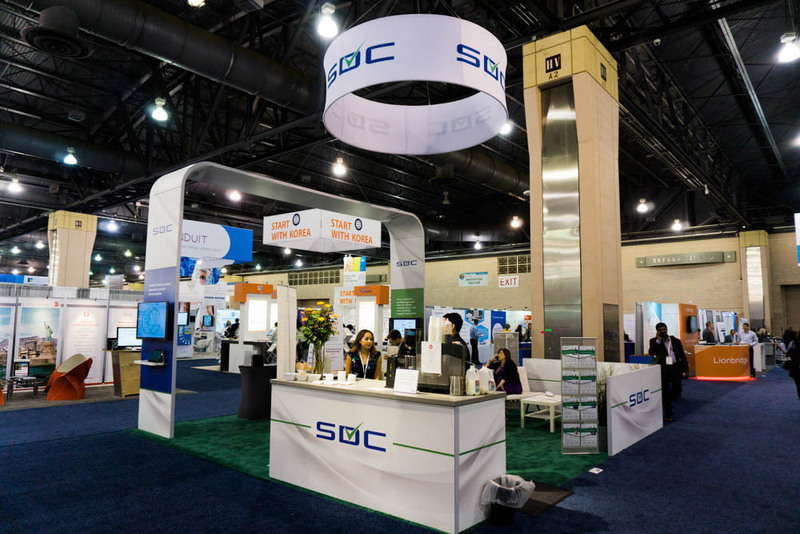 This 20×20 booth design features an industrial design with truss pillars as well as lighting scaffolds. The stem-lit space underneath the four sided hanging sign provides the perfect area to house product displays. The customizable counter at the front of the booth provides the perfect place to meet and greet customers as well as potential clients.